EXCLUSIVE: Michelle Obama Reads From Her Forthcoming Memoir 'Becoming' In two audio clips from her memoir, set to hit shelves Tuesday, the former first lady reads about her life at Princeton and about her difficulties having a baby. 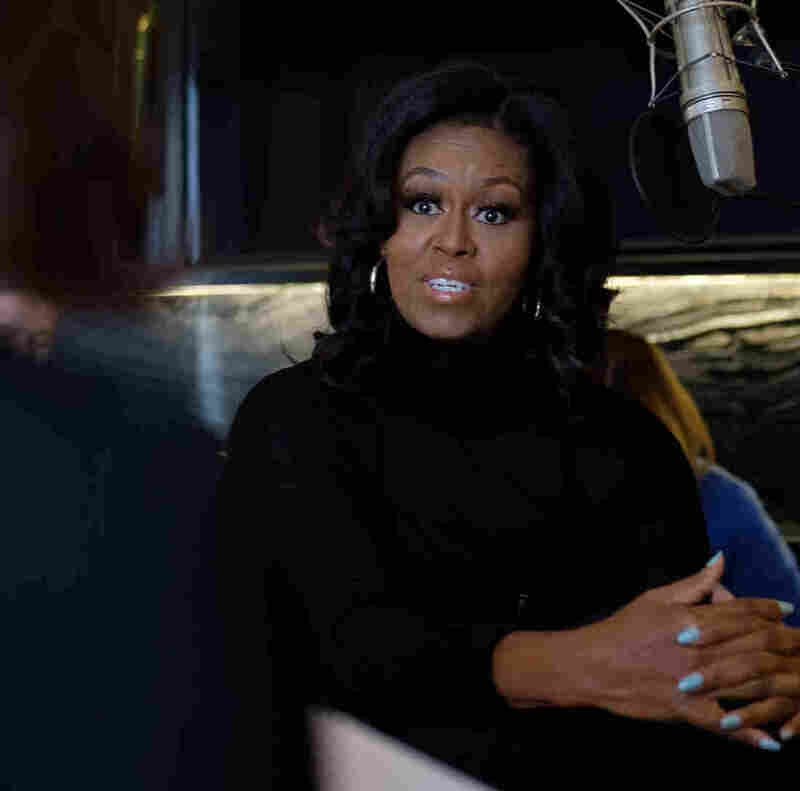 NPR host Audie Cornish interviews former first lady Michelle Obama about her memoir Becoming in Chicago, Ill., Nov. 2. In the second excerpt, Obama reads about the period of time when her husband, former president Barack Obama, was an Illinois senator — and they were trying to start a family. "I treated it like a mission," she says. "No matter how hard we tried, we couldn't seem to come up with a pregnancy." She had a miscarriage and, later, the couple conceived their two daughters through IVF treatments.